With Strap CYMBALS 5" Percussion Plus PP211/8 22.20 buy me! With Beater TULIP BLOCK Percussion Plus PP256/1 9.80 buy me! 6 Shakers SHAKER SET: ANI Percussion Plus PP673 26.00 buy me! budget,w/straps CYMBALS: MARCHI Percussion Plus PP958/0 65.00 buy me! Class Perc. VHS VIDEO: CLASS PE Percussion Plus PP005/5 18.75 buy me! small shaker SHAKER: MINI Playsound 3697E:24 p/box 3.45 buy me! 3"diam.w/handle DRUM: MONKEY; M FCN 1985T 9.90 buy me! High/Low Pitch MARACAS: PROFES Latin Percussion 54.LP281 27.20 buy me! With Beater WAVE DRUM: OCEA Playsound 3693S 18.50 buy me! pair CHIKITAS: SMALL Percussion Plus PP541 7.50 buy me! Wood: Set of 2 CASTANETS: WOOD Percussion Plus PP591/1 4.55 buy me! 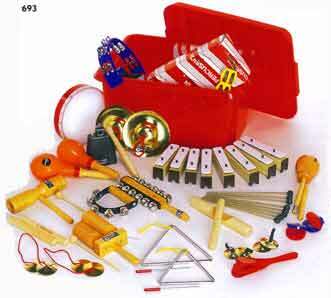 carries 8 tubes BOOMWHACKERS: T Percussion Plus PP 797 21.00 buy me! C64-C76;2beater CHIME BAR SET: Percussion Plus PP 935 30.00 buy me! holds 8 notes CHIME BAR STEP Percussion Plus PP 936 38.00 buy me! Piccolo wood CLAVES: JUNIOR Percussion Plus PP208/2 9.10 buy me! Large cup WOODEN SPOONS Percussion Plus PP 265 9.90 buy me! Half Moon/White TAMBOURINE: HEA Percussion Plus PP486/26 17.60 buy me! TRIANGLE 6" Percussion Plus PP258/7 3.75 buy me! Plastic:Set of2 CASTANETS: PLAS Percussion Plus PP592/4 3.55 buy me! various colours EGG SHAKER - VA Percussion Plus PP771 2.50 buy me! 17 Note GLOCKENSPIEL Percussion Plus PP930/2 78.00 buy me! with beater TRIANGLE 8" Percussion Plus PP259/0 4.80 buy me! Bronze TIBETAN BELLS Percussion Plus PP347/6 22.80 buy me! Black COWBELL 7.5" Percussion Plus PP672/9 12.55 buy me! Black COWBELL 6.5" Percussion Plus PP671/6 11.10 buy me! wooden FOOTBALL RATTLE Perc Plus PP1051 12.45 buy me! Half MoonYellow TAMBOURINE: HEA Percussion Plus PP 486/5 17.60 buy me! OvalRed TAMBOURINE - DO Percussion Plus PP484 16.50 buy me! budget,w/straps CYMBALS: MARCHI Percussion Plus PP959/3 85.00 buy me! 5 sharps&flats CHIME BARS: SHA Percussion Plus 40.00 buy me! large blue OCARINA: CERAMI FCN 1996B 9.95 buy me! Whipcrack SLAPSTICK ¤ ussion Plus PP 280 55.00 buy me! Single Mallet BASS DRUM MALLE Percussion Plus SPP431 20.00 buy me! 8 NOTE GLOCKENSPIEL - Œ  28660 22.85 buy me! with beater WAH WAH TUBE: L Meinl MPWW2BK 55.00 buy me! novelty PAN FLUTE - PLA A  28240 1.20 buy me! Single Kazoo PLASTIC KAZOO Percussion Plus 1.80 buy me! soft head TIMPANI STICKS Percussion Plus PP 074/1 20.50 buy me! 6"diam.w/handle DRUM: PANCAKE; FCN 1986W 13.20 buy me! 6pairs assorted BEATERS & BLOCK Percussion Plus PP062 35.00 buy me! large; red JAM BLOCK; LARG Percussion Plus PP 245 15.90 buy me! 8 note; C64-C76 GLOCKENSPIEL; F Percussion Plus PP 937 40.00 buy me! pair; medium TIMPANI STICKS Percussion Plus PP073 22.00 buy me! 5note chromatic COMBI BELLS: SH Percussion Plus PP276 40.00 buy me! Wood Shell TAMBOUR 6" Percussion Plus PP034/3 20.80 buy me! budget,w/straps CYMBALS: MARCHI Percussion Plus PP868/8 24.00 buy me! with beater OCTACHIME Percussion Plus PP1052/0 21.70 buy me! with beaters CHIME BAR SET- Percussion Plus PP932 69.00 buy me! medium, blue OCARINA: CERAMI FCN 1995Y 8.80 buy me! Half Moon/Black TAMBOURINE: HEA Percussion Plus PP486/13 17.60 buy me! BEATER FOR COWB Percussion Plus PP262/6 5.20 buy me! 10 Kazoos PLASTIC KAZOO - Percussion Plus SPP371/32 15.00 buy me! Delicate Sound SOFT SHAKE Latin Percussion 54.LP441 22.80 buy me! with cord SAMBA WHISTLE Percussion Plus PP 1125 6.90 buy me! MASTERBLASTER ( Percussion Plus PP1124 35.40 buy me! BUGLE, GOLD unknown 2827X 5.00 buy me! foldable KEYBOARD STAND Percussion Plus PP983 45.00 buy me! Orange TAMBOURINE: BEA unknown PP1015/1 16.25 buy me! 6 Bells HANDBELLS: FROG Bambina PP1009 10.30 buy me! Myna, Pink BIRD SLIDE WHIS Bambina PP1019/3 15.60 buy me!